Watch and listen to this YouTube performance ! 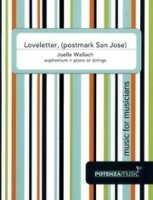 Loveletter, (postmark, San Jose) is a tiny tender tuba rhapsody for euphonium and strings written for the San Jose Chamber Orchestra, its conductor Barbara Day Turner, and tubist Tony Clements as a gift to the community of greater San Jose where Joelle Wallach had been visiting composer at the San Jose Symphony over the course of several concert seasons. 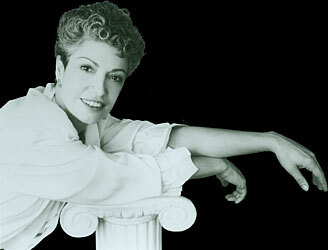 Wallach explains, “When Barbara Day Turner approached me with the idea of a work for tuba and strings, it appealed to me immediately: the soulful and subtly lush quality of the tuba singing along with the eloquent silkiness of the strings seemed to reflect the beauty of the Valley’s extraordinary landscape and the rich variety of its inhabitants. 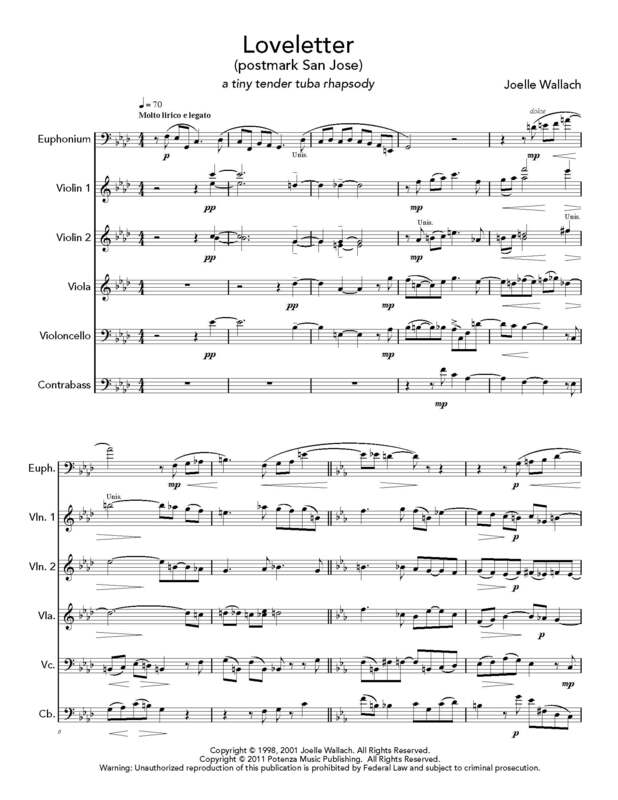 “Before any of the usual practical consideration of a commission could be discussed, I found that the piece had begun to sing itself to me: a gift, a love letter to what I had begun to experience as my other home. I found that even once I returned to my home in New York, part of my soul still had an address in San Jose.” Like any loveletter, Loveletter,(postmark, San Jose) is a declaration of love, a song of sweet nostalgia, a yearning to return to a place and especially to the people of that other home.